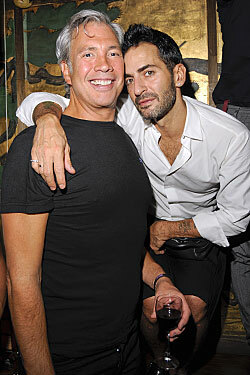 >IS MARC JACOBS GOING PLUS? According to a few tweets on twitter, people are wondering if Marc Jacobs will be going plus. Marc’s business partner Robert Duffy sent out the following tweets on August 3rd. Robert is known for over sharing company secrets, so, people are not sure what to make of this. Listen, we are in the very beginning stages of talking to a partner about plus sizes. Relax. It won’t be based on the collection line. We are in talks now. For plus sizes. For all you who seem to know my co. Better than me. Hope it works out. Lighten up! I am hoping that they are not toying with a girl’s emotions. Marc Jacobs is one of the many lines that I wish would just come on over to the other side. I would love to see Tracy Reese and DVF swing on over to the plus sizes too. I think it will grow their empire beyond imagination. If this were to come true, would you spend your money on a Marc Jacobs plus line?